Most seasonal displays are fairly static, but small elements can help you add a bit more personality to your front door decor. Here, a tiny chalkboard allows the homeowners to add a changing message on the front door wreath. Other ideas: a countdown to Christmas, or ribbon or wreaths that change weekly. 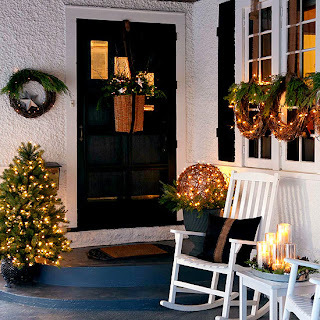 Similar colors can have a powerful impact in Christmas door decorations. 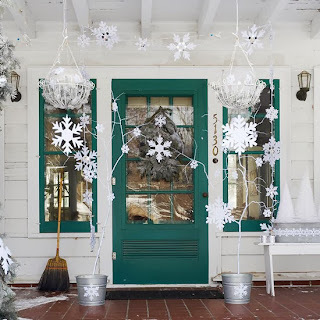 Here, silver and white create a magical winter wonderland on the porch of this cottage-style home. Strands of light, accented with oversize snowflakes, hang from the ceiling, and branches in galvanized pails suspend more snowflakes. 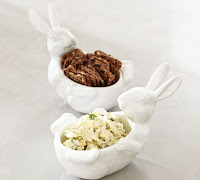 For the final touch, spray-paint wire baskets white, hang, and fill each with a sparkling silver orb. A basic design principle can be all you need to create a pulled-together front door. For example, traditional style homes equal traditional style seasonal decorations and rustic calls for a more casual set-up. 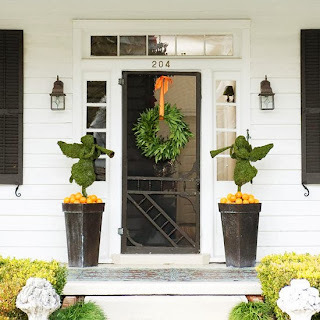 That's the case with these lovely, easy-breezy accents, including a simple garland over the entry and two nearly unadorned wreaths by the door. If you have a large front entryway, then you're lucky, you have more room to work with to add pretty holiday accents. One way to unify them is to choose just a few materials to repeat ~ here grapevine, in the urn and wreaths and fir, in the form of a small tree and as embellishments in the wreaths and urn. 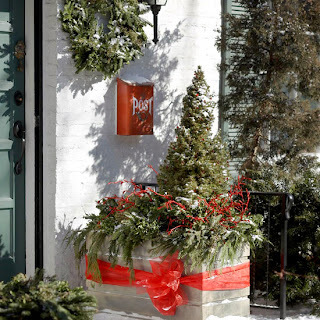 Whether you have a built-in planter or a simple weather-resistant version, consider placing it by your front door and filling it with a variety of seasonal accents. Here, a miniature tree, a colorful bow, and bright berries make a great combination. 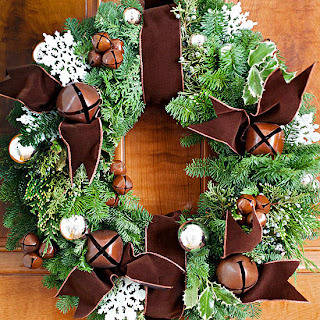 Other ideas include colorful garden orbs or even a sculptural branch wrapped in ribbon or lights. 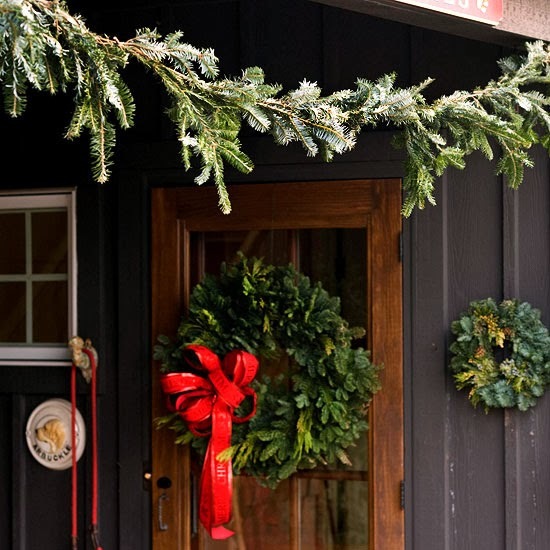 Evergreens and pinecones are standard elements for front door decorations, but there are other materials that can add texture and visual interest. Here, rolled-up cones of printed paper, torn from an old book, are glued to a wreath for a graphic update to a Christmas classic. Sparkle and shine are synonymous with the season. Use this pretty silver front door decoration as inspiration to create your own glittering, seasonal welcome. 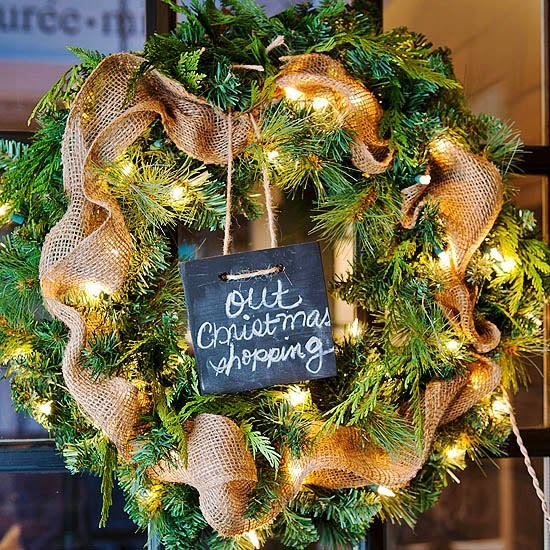 Purchase a silver wreath or paint a grapevine wreath using metallic spray paint; add a sparkling ribbon and weave in silver and blue ornament balls. For another sparkling color scheme, use gold and bronze decorations to glam up your Christmas front door. 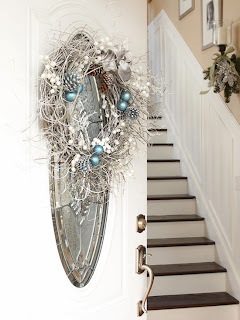 Wreaths are a lovely addition to nearly every front entryway. But there are other items that can work well to add seasonal interest to your door. 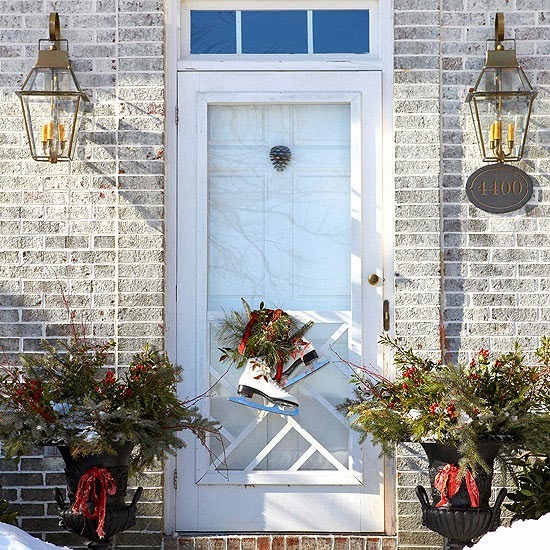 Here, ice skates tied with a bit of greenery and ribbon dress up the traditional entry. 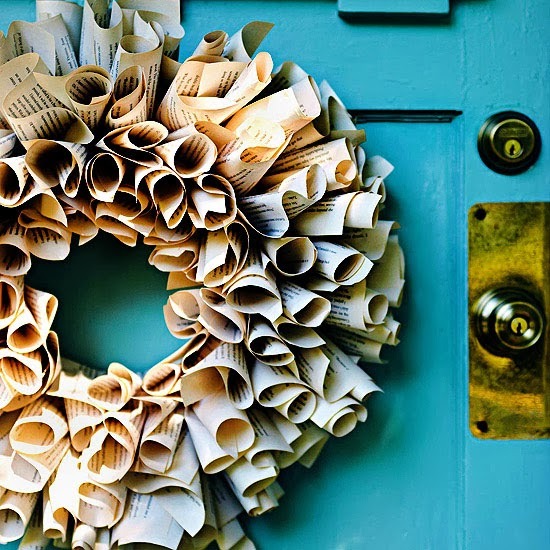 You can easily dress up holiday door wreaths with colors or special accents chosen to coordinate with the rest of your holiday decor. For example, wide bits of velvet ribbon, hot-glued at the back, to coordinate with the sleigh bells and snowflakes, attached here with wire. 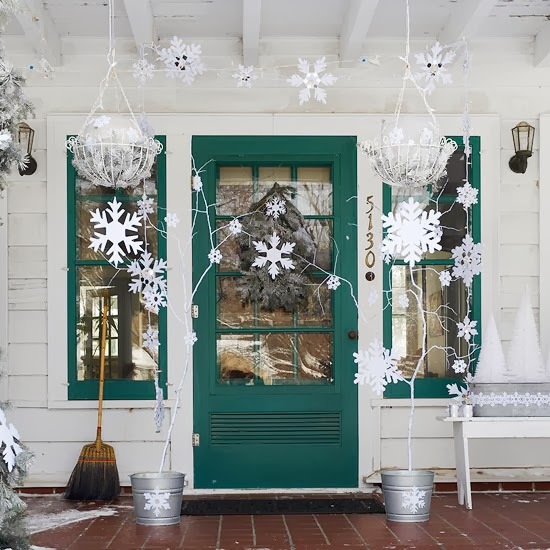 Take a new look at nontraditional items and colors to create unique Christmas door decorations. Here, orange is the unexpected holiday focus: Bright ribbon suspends the bay leaf wreath and piles of fresh oranges add a visual punch to the topiaries, which are sculpted as trumpeting angels.